Almost finished with the truffle series! 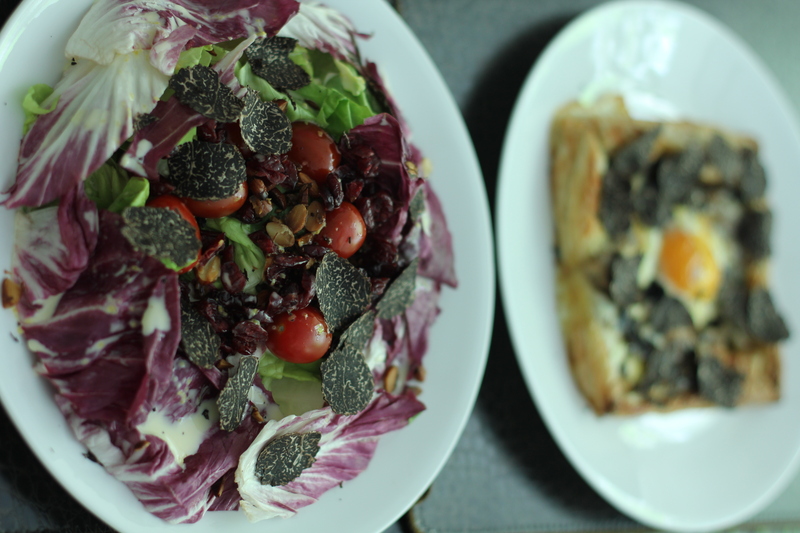 Here I made two simple dishes with the truffles, a puff pastry and a salad. Really easy and yummy stuff. 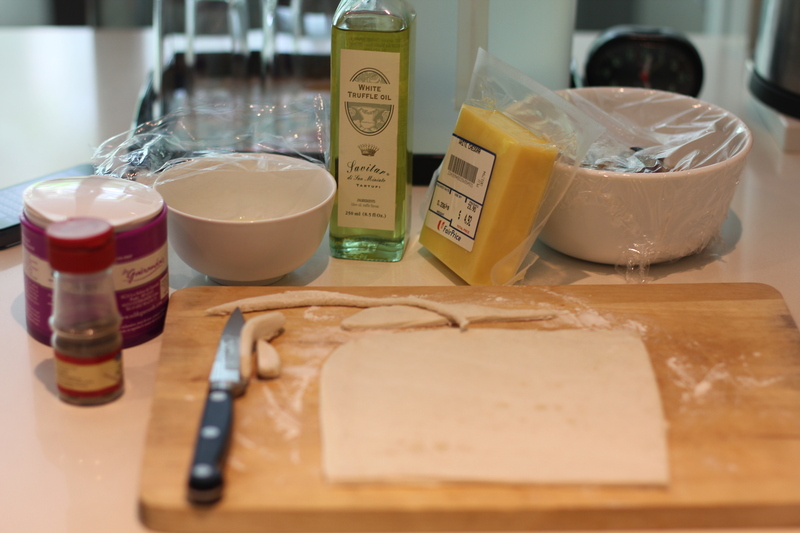 Roll out the ready made pastry into a square and trim off the sides so that it’s nice and neat. Preheat the oven to 220°C (200°C for fan assisted ovens). You should follow the instructions printed on the wrapping, oven temperatures and timings may differ. Cut a little more of the ready made pastry and roll it out to make 4 strips, you will need to place each strip at the edge of the pastry square so it holds the ingredients (and egg) in. Bake the pastry for about 12 minutes (this would depend on the total time you need to bake the pastry. 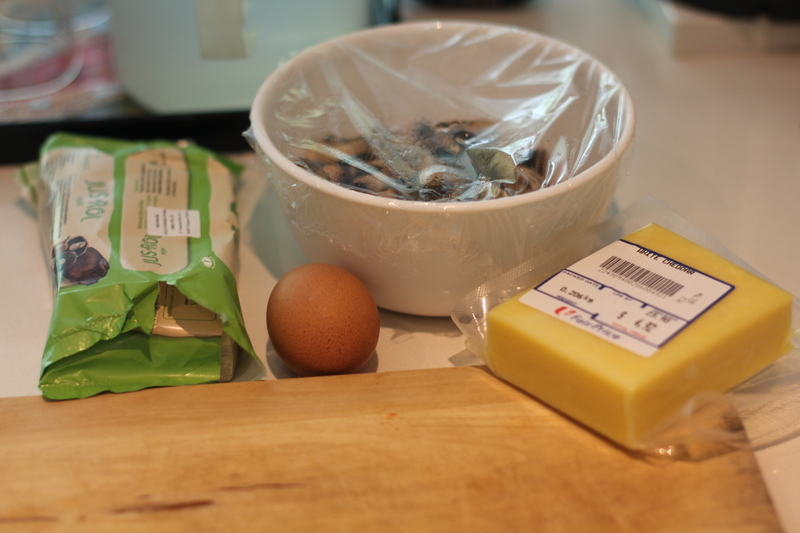 If you need to bake it for 20 minutes, add the egg 3-4 minutes before completion). If I remember correctly I baked it for 15 minutes, so I slid the egg into the middle after 12 minutes. You can add more cheese around the egg after that if you wish. 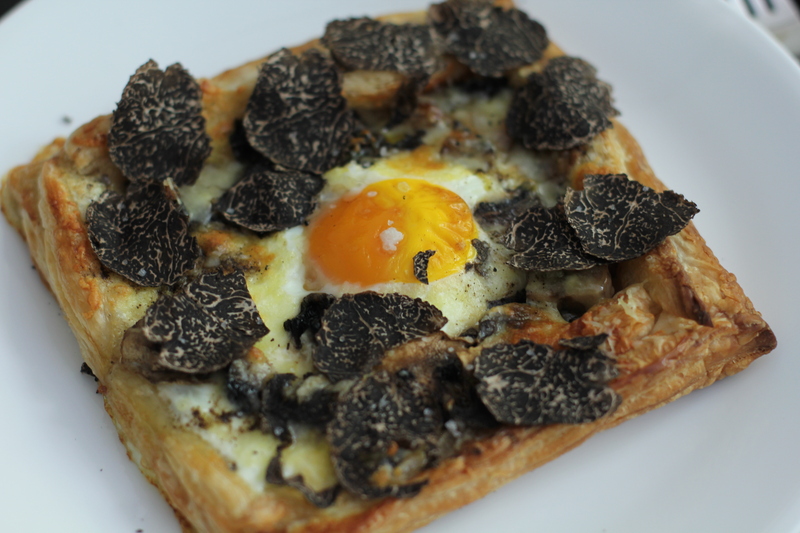 Then drizzle the truffle oil over the pastry. 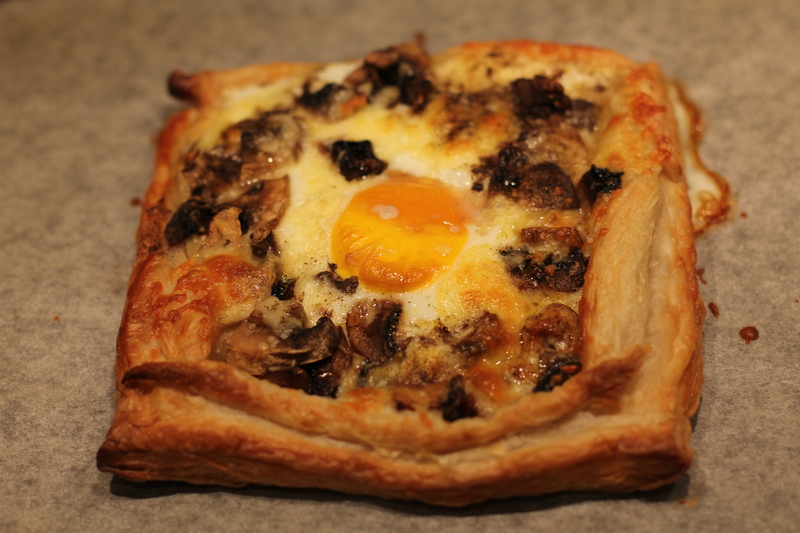 Once the pastry is golden brown and the egg is cooked, remove from oven. While the pastry is cooking, wash and drain the salad leaves, slice the almonds and fry them til golden in color. Pat the excess oil off almonds with a kitchen towel and set aside. Mix the lemon juice and rind, mayo and honey together in a separate bowl. Place salad leaves in a salad bowl and toss with the honey lemon and mayo mixture. 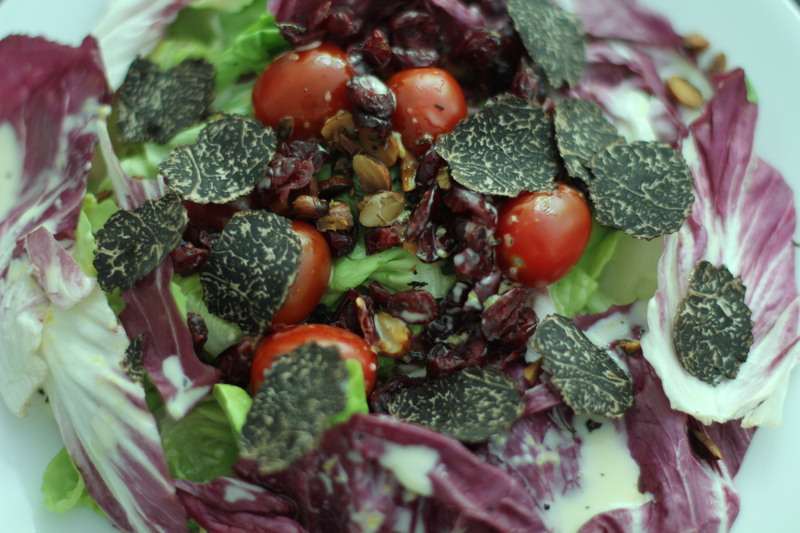 Add cranberries, sliced almonds and shave some of that black truffle on top. Serve. 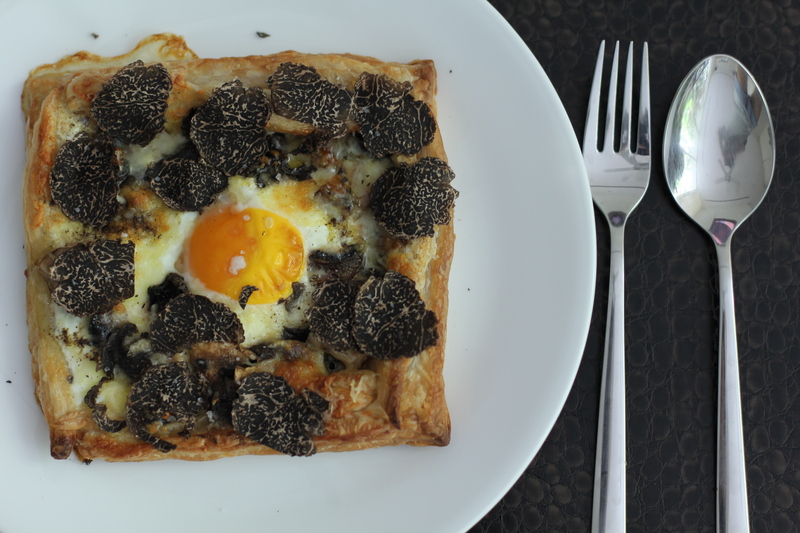 Season pastry with black pepper (and, if you chose a mild, not-so-salty cheese, some salt) and add some truffle shavings. Eat! 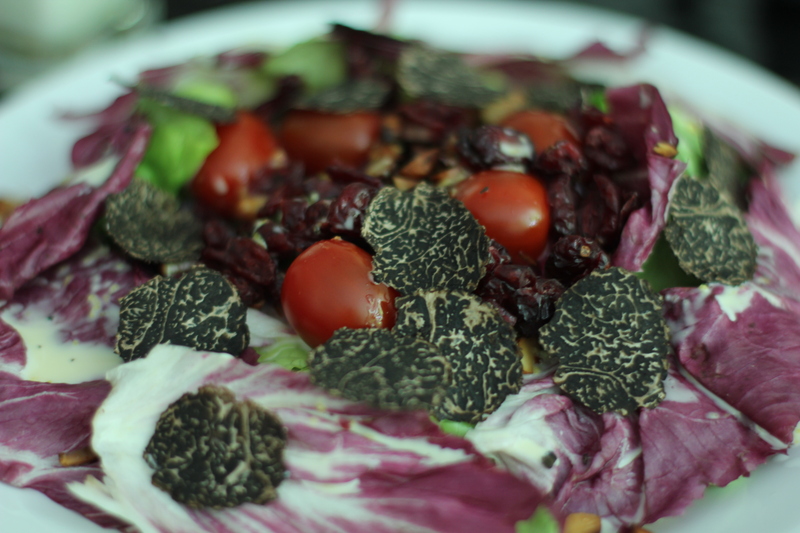 You can add other things to your salad, I added cherry tomatoes to mine. If you like your egg less cooked then just cook it for 1.5-2 minutes before removing from the oven. For me, as long as the whites are cooked I’m all good.